summer is supposed to be about having fun and feeling carefree. so that means you don't want to be spending a good chunk of your day in the bathroom, doing your hair, right? to alleviate this problem, today i am going to share five summer hairstyles that are super quick and easy. the braided pony is one of the nicest summer hairstyles, in my opinion. why? 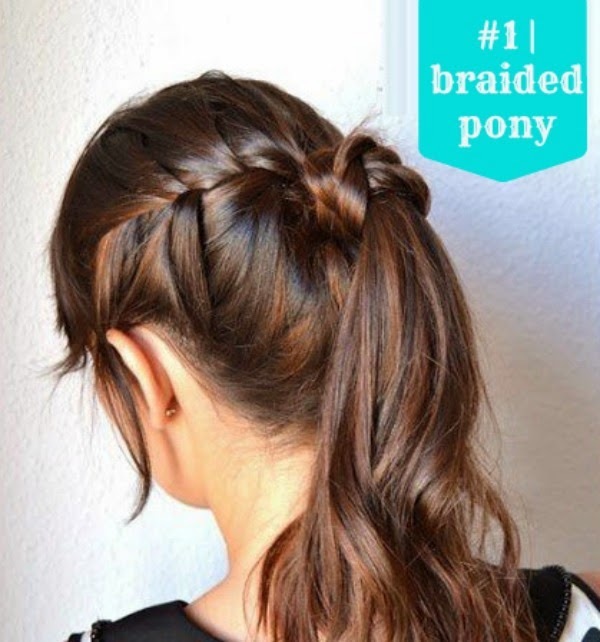 because a pony can be dressed up or down, and the braid can make it look fancy schamancy. you can find a tutorial for this here. 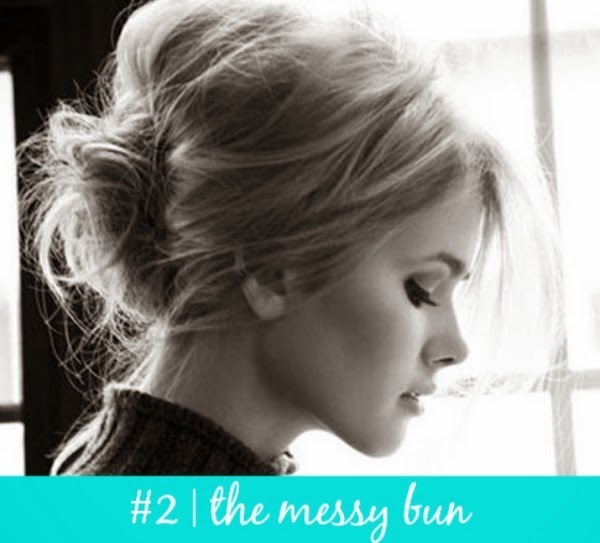 messy buns are an essential no matter what the season. they are rather easy to create and doesn't take a lot of time. basically all you do is grab your hair in a ball, wrap a clear rubber band around it, and bobby pin. 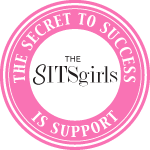 but, if you really want a tutorial, you can go here or here. 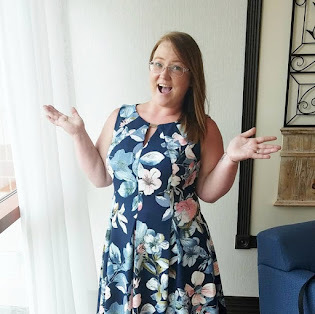 kate at the small things blog is simply amazing... she is a retired hairstylist and her blog features so many hair tutorials that it's not even funny. 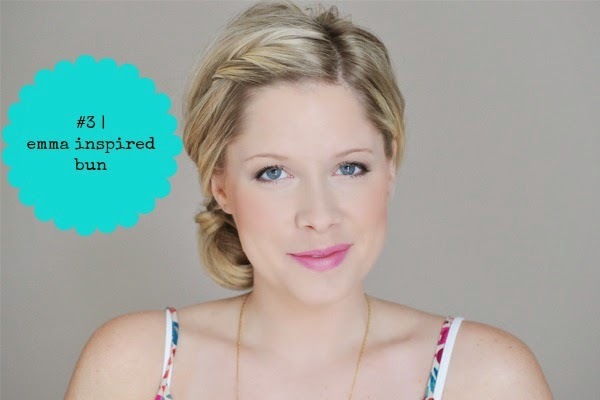 this is one of her's (if you can't tell) and i have worn this hairstyle many of times, (it may actually be my ultimate favorite casual summer style) because it's so simple to recreate. you can find the tutorial here. the elevated pony is a great simple hairstyle. basically all you have to do is tease your hair, put it in a pony, and add a headband. it's simple, classy, and you can find a great tutorial here. 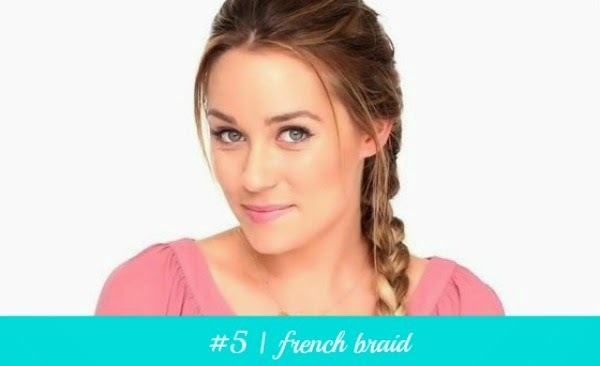 the french braid is a beautiful hairstyle, with a bad rap. granted it can make you look like a sister wife, but it's one of those universal hairstyles; you can dress it up or down, and you can even braid wet hair at night to produce wavy hair in the morning. 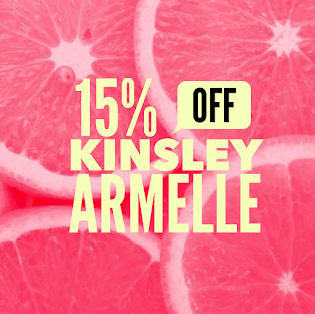 it's great for summer, because it keeps the hair off your neck, which in turn will keep you cool. don't know how to braid? don't worry, you can find the tutorial here. want more hairstyles? 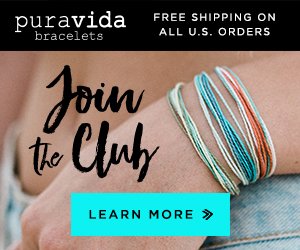 you can find a bunch on my pinterest board. do you have a favorite summer hairstyle? tell me about it! I'm all about a messy top knot or braid during the summer. Great list!! 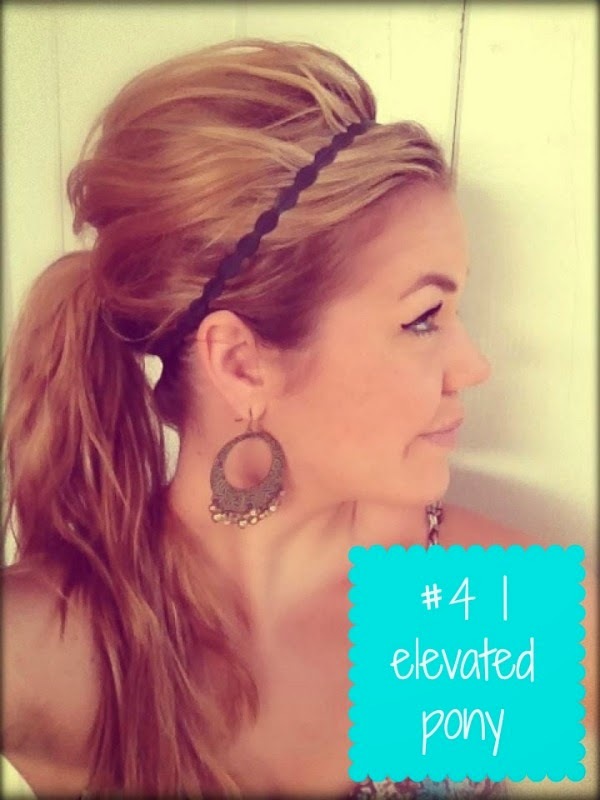 My favorite summer hairstyle is the elevated ponytail. I also do the wet hair and letting it dry natural. I have naturally curly hair so it works with no work. I also do a messy bun (like right now). braids are the best in the summer!